Hanukkah is here and at More Than Paper, we have some "must haves" for the holiday. The first night of Hanukkah 2014 is Tuesday, December 16. Today! Are you and your family ready? 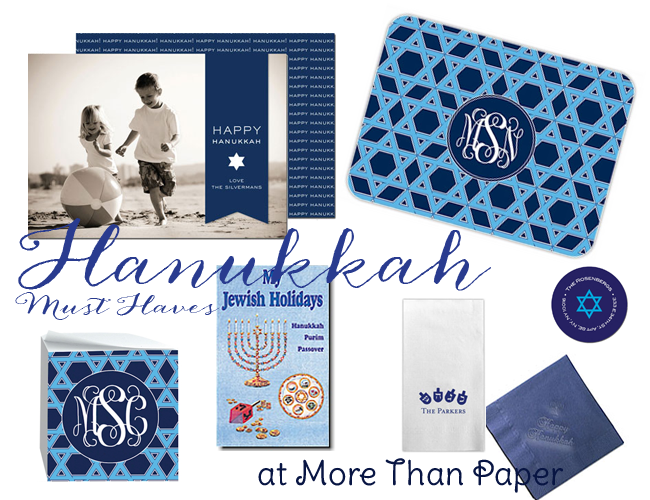 More Than Paper has a wonderful selection of Hanukkah greeting cards, address labels, and entertaining accessories like personalized Hanukkah cocktail napkins and paper guest towels. We also have a great selection of gifts, like this personalized note sticky note cube and personalized children's book. When it comes to recipes and entertaining your family and friends, find inspiration at The Jewish Hostess. It's a wonderful site filled with kosher recipes and table setting ideas from Jewish Hostesses around the world. So whether it's lamb kabobs, latkes, challah or kugel, there's so much inspiration! 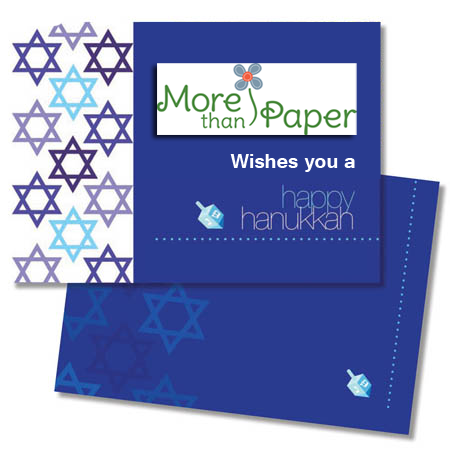 From everyone here at More Than Paper, we wish you a Happy Hanukkah! Thanks for sharing this blog,Hanukkah is a great time to be with family and celebrate. Exchanging gits and cards and so much fun. 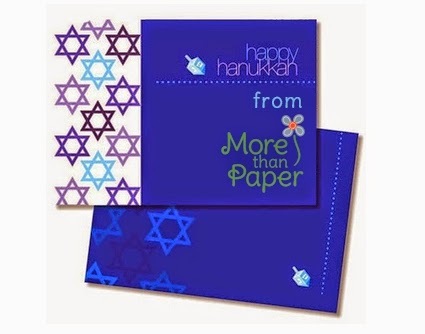 Specially gifting personalized Hanukkah cards lets you share your holiday spirit and your charming family with everyone you know.Quite Excited I am! !